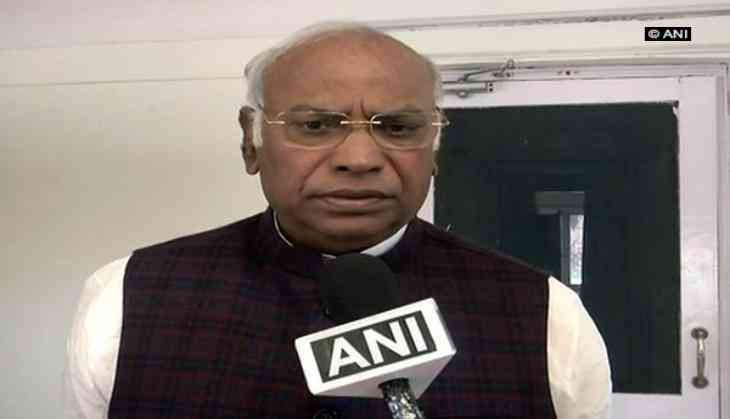 Congress leader in the Lok Sabha Mallikarjun Kharge termed the announcement of date for the winter session of the Parliament by the Center as 'formality' and accused the Centre of running away from the issue of the people. "The announcement of dates is just a formality. They don't want the parliament to function smoothly. They don't have the time to address the issue of the country. They are just completing a formality by calling this winter session," Kharge told ANI. Kharge further said the party will raise the issue of Goods and Service Tax (GST), demonetisation, terrorism and Hafiz Saeed in the Parliament. The Cabinet Committee on Parliamentary Affairs (CCPA) earlier in the day decided that the Parliament Winter Session will be held from December 15, 2017 to January 5, 2018.